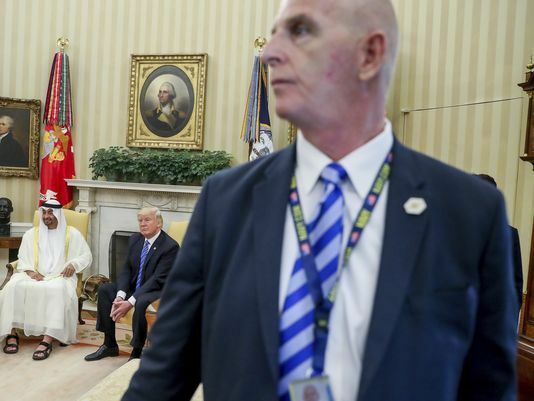 Wow, Keith Schiller, who has been working by President Donald Trump’s side for almost two decades, is leaving his position in the White House. It's one thing to see an aide like Steve Bannon go but to see the guy leaving, who has been sort of a one man protection team to counter balance the protection team of the government, is something in a completely different class. The cover story is that it is because of money. Schiller, a former New York City police detective, earns an annual salary of $165,000, that is a decrease from the $294,000 he was earning before the White House. But whatever the reason, it is yet another person close to Trump that won't be around to have his back. And, in this case, literally have his back. I would say the soft coup is pretty close to complete. Maybe he doesn't want to get hit in the cross fire?